LAKELAND, Fla. March 31, 2016 — There was a time when real estate agents and traditional builders occupied one side of the great divide between site-built homes and those constructed in a factory. 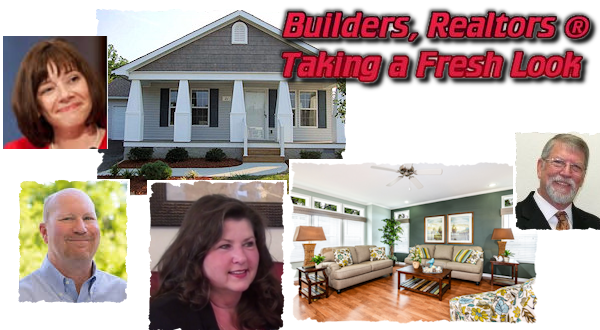 But these days more and more professionals in the housing industry have come to shed their misconceptions about modern manufactured homes and found a whole new way of doing business in a broad economic spectrum, from modest to high-income consumers. Nonprofits that pave a path to home ownership for the poor have discovered they can build more and better homes in a factory than they ever could manage with traditional construction. Stacey Epperson, CEO of the nonprofit Next Step Network discovered more than a decade ago that she could build better quality homes in less than half the time at half the price of the site-built homes she once relied on. “We had an Energy Star home done right, and families could qualify for a broad range of mortgages,” Epperson says. Meanwhile, some custom builders, battered by the housing recession and plagued by a subsequent shortage of skilled construction tradesmen, have discovered that factories offer shelter from weather and cost overruns not found on a traditional construction site. “Having been a site builder and a factory builder, I really appreciate the differences,” says Mike Wnek, a co-founder of Palm Harbor Homes, one of the nation’s largest producers of factory-built housing. “It doesn’t matter if it’s raining or snowing, the work gets done. And we’re not standing by waiting for some inspector to show up, because in our business, they’re there every day,” says Wnek. In coastal areas, changes in flood zones and wind codes — which now require many new homes to be built on platforms — have given factory-built homes, especially modulars, an even greater competitive advantage over site-built construction. Modulars cost about 25 percent less than comparable site-built homes. That translates to huge savings on luxury models that approach seven figures. Real estate agents also are beginning to realize that middle-income buyers can get more house — for half the price — with a modern HUD-code manufactured home. “I try to educate my associates about the quality of the homes — standard plumbing, open floor plans, quality construction,” says Linda Hazelhoff, a Kalamazoo, Michigan Realtor whose husband and architect son are longtime custom builders. The lifestyle is particularly appealing for retirees who follow the sun to warmer climes in the winter, then return home for the rest of the year. A manufactured home at either — or both — destinations is ideal for part-time residents, Hazelhoff says. The homes are low-maintenance, the communities secure, she added, and if the owner wants to leave for part of the year, all they have to do is lock the door behind them. Photo caption: Stacey Epperson, top left, Jim Ayotte left, Linda Hazelhoff, center, Michael Wnek, right, NextStep home top center, Jacobsen Home, bottom right.